Welcome to Dru's Cozy Report. 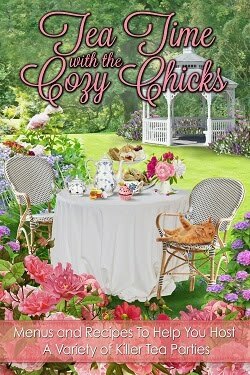 I will be sharing, on a monthly basis, my views on current cozy mysteries. This month's theme is Christmas. The holidays bring more than eggnog lattes and gingerbread biscotti to the Village Blend. When manager and head barista Clare Cosi finds a red-suited body in the snow, she adds solving Santa's slaying to her coffeehouse menu. Clare's grown very fond of Alfred Glockner, the part-time comic and genuinely jolly charity Santa who's been using her coffeehouse as a place to warm his mittens. When she finds him gunned down in a nearby alley, a few subtle clues convinces her that Alfred's death was something more than the tragic result of a random mugging despite the conclusions of the police. With Clare's boyfriend, NYPD detective Mike Quinn, distracted by a cold case of his own, and ex-husband, Matt, "investigating" this year's holiday lingerie catalogs, Clare charges ahead solo and discovers this Santa had a list that he was checking twice—and the folks on it were not very nice. Then someone tries to ice Clare, and she really gets steamed. Between baking delicious Christmas goodies and fending off the attentions of a persistent professional elf, Clare sets out to solve St. Nick's murder. But she'd better watch out, because if she fails to stop this stone-cold killer, she may just get the biggest chill of her life. It's Christmas and thoughts of holiday-themed lattes, visits with family and friends were on Clare's mind when she found Santa's body in an alley. Clare, believing he was murdered starts to investigates and when her life is threatened, it's evident that she getting closer to the killer. I really enjoyed this murder mystery and the spirit of the holiday season woven throughout. The plot was well written and the dialogue entertaining. This page-turning and action-filled mystery kept me guessing with surprising results. The appearance of Madame is always a welcome sight. This holiday fare was a joyous read. 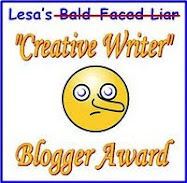 FTC Full Disclosure - The author sent me Holiday Grind, in hopes I would review it. It promises to be a jolly holiday for Sophie Winston, until a scrooge steals the gifts from her family and neighbors and even pinches their holiday meals! Sophie quickly ends the neighbors' finger-pointing by organizing a toy swap for the kids, restoring the spirit of the season. But not for long. When her sister-in-law's father shows up to the festive gathering with a diva girlfriend just a month after his separation, more than one person is thinking of murder. And when the girlfriend becomes the victim of foul play, some of Sophie's relatives are at the top of the suspect list. Her detective boyfriend, Wolf, is out of town, so it's up to Sophie to chase the goose and cook it, because nobody ruins her Christmas! Sophie is all set to have a nice family gathering when an unexpected wedding announcement is made that mars their dinner. The next day Sophie finds Bonnie, the bride-to-be dead, murdered, as a family member becomes the primary suspect. Sophie believes in their innocence and we watch as she discovers others who have stronger motives to want Bonnie dead. What a great read! This mystery held me captive from beginning to end. I couldn’t put this book down as I wanted to know who were behind the mysteries in this charming tale. When I thought I knew who did what to whom, the author kept me guessing. The festive winter setting, the clever plot and the interaction among the characters was delightful. This entertaining story is filled with holiday cheer and delicious recipes. 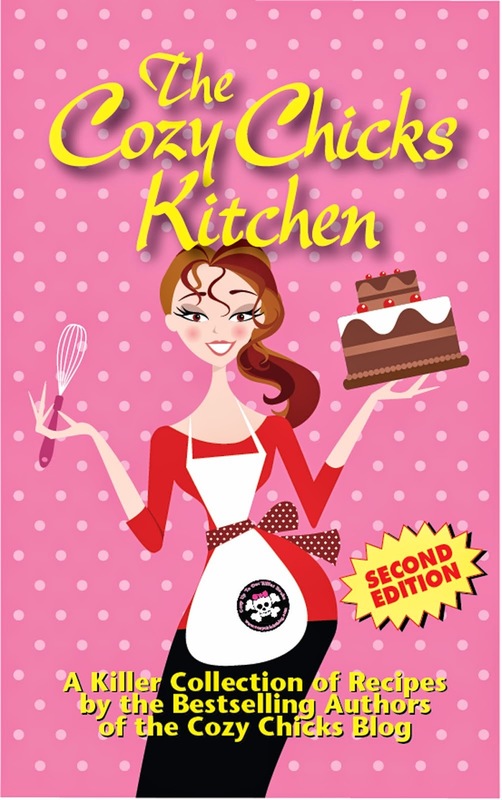 FTC Full Disclosure - The publisher sent me a copy The Diva Cooks a Goose, in hopes I would review it. It's the holiday season in rural North Carolina's Colleton County. Sheriff Dwight Bryant and his wife, Judge Deborah Knott, have propped his traditional pine tree in the living room. Christmas lights have been hung. Aunt Zell's famous fruitcake has arrived. Deborah can't wait to celebrate with Dwight, her stepson Cal and all of her colorful relatives. Then a tragic car wreck casts a dark cloud over the revelry. A beautiful young cheerleader dies in the crash, and her community is devastated. But Dwight soon learns that the girl's death wasn't a simple accident. And more lives may be lost before Christmas Eve unless Deborah and Dwight find the killer—or killers. I look forward to my yearly visit with the Knotts family and this one did not disappoint. Deborah and Dwight are excited this holiday season with this being their first year anniversary as they celebrate it with their family and friends. When a young girl dies from a car crash and two more deaths occur, both Dwight and Deborah begin to suspect these deaths are connected. As they try to solve this intriguing mystery, the holiday is upon us and you can feel the warmth and love everywhere the Knott family and friends gather together. This is one Christmas that Deborah and Dwight will never forget. I always finish this charming and enjoyable read with a smile. FTC Full Disclosure - I bought my copy of Christmas Mourning. Thanks for the reviews! These all sound interesting! Another great round of reviews!! Thanks Dru, I always trust your recommendations. Thanks, Dru, I've added all of them to my list. I haven't read any of them and I'm looking forward to doing so. As always you tell it like you see it. I'm ready to dive into your recommendations head first. I've enjoyed all of Cleo's books. They're great! Not read the others yet, but am looking forward to them. Glenda gave me Holiday Grind for Christmas and I can't wait for the New Year to start reading the book. Dru I love your reviews. Great list. I am looking forward to reading these. These sound like great books! Can't wait to read them. Hey honey! Just dropping in to show my girl some support!! Hugs to you honey! Great reviews. I love Holiday Grind and can't wait to read the other two. Holiday Grind is an awesome read and a fabulous holiday cookbook!! My copy has a permanent spot with my cookbooks :-) I'm also looking forward to reading the next "Diva" book and adding Margaret Maron to my list of new to me authors. Thanks, Dru! Thanks for the reviews, Dru. You never steer us wrong. I loved HOLIDAY GRIND, have CHRISTMAS MOURNING top of my Recorded Books wishlist, DIVA COOKS A GOOSE on the nightstand. Excellent grouping! One of my favorites to read this month, holiday themed cozies. I really enjoy Cleo Coyle's "Coffeehouse" mystery series, but am behind on reading it. Now I feel inspired to catch up!! Thanks, Dru.